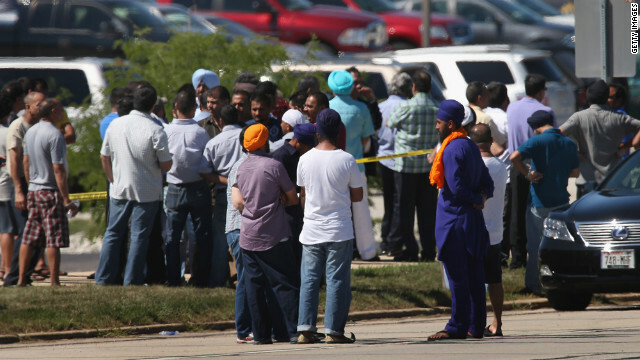 People wait for word on family and friends at the Sikh temple. The Oak Creek, Wisconsin, temple, or gurdwara, opened in 2007. 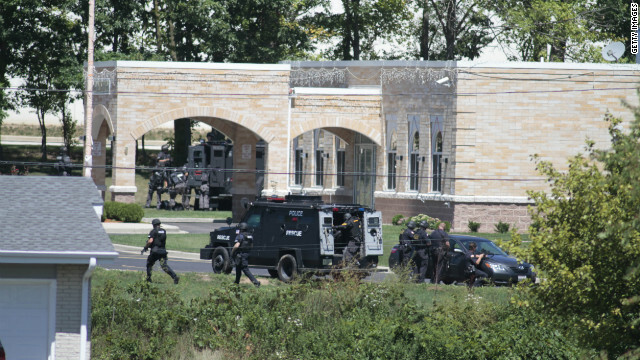 People have been going back and forth all day about =the shooting Sunday at a Sikh temple in Oak Creek, Wisconsin, which left seven people dead including the gunman, 40-year-old Wade Michael Page. Details emerged after the shooting, painting Page as the front man of a white-power rock group known as "End Apathy." Thousands of comments poured in, and readers posted dozens of stories on CNN iReport. We were surprised to find that one of our readers wrote a comment saying they knew Page. Cjrobillard: "Wade Michael Page was one of my closest friends from my time in the Army. We met and served together in the same unit at Fort Bragg, North Carolina. While I don't support what he did, I love him like a brother and I will miss him greatly. I am sorry for the families of the victims and officers." CNN interviewed the commenter, who in real life is Christopher Robillard of Oregon. He described Page as his "closest friend" in the service more than a decade ago, and added that Page was pushed out of the military for showing up to formation drunk. Robillard said Page was "a very kind, very smart individual" who loved his friends, but "was involved with white supremacy." He went on to say that Page sometimes talked about "racial holy war," but didn't seem like the kind of person who would actually hurt someone. I just never thought it would be at a temple, at a place of worship. I don't want people to have to carry a gun at a place of worship. ... Why can't people just show each other love and care and treat each other as humans? Which is more interesting, Mars or Mohawk? In parts of Aleppo on Monday, snipers fired from roofs of buildings and artillery fire rang out, while other areas of the city are oddly normal. CNN's Ben Wedeman and crew are some of the few international reporters in Syria, whose government has been restricting access on foreign journalists and refusing many of them entry. In the besieged Aleppo neighborhood of Salaheddin, Wedeman said drivers had to dodge piles of rubble in the streets. Residents evacuating to safer neighborhoods left their homes with all the belongings they could carry, he said. An elderly man, carrying a briefcase and a bag full of jam, said he was leaving the neighborhood to move in with his daughter. 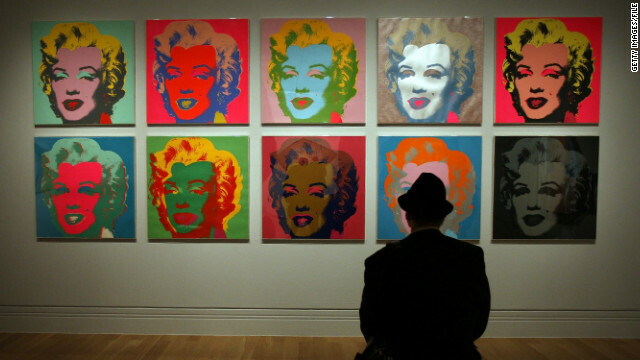 August 6 is the birthday of Andy Warhol, who had a penchant for painting Marilyn Monroe. She died August 5, 1962. August 6 is a day of anniversaries. Unfortunately, some of them are dubious milestones. Topping the list is the first anniversary of the Chinook helicopter crash in Afghanistan that killed 30 U.S. service members, 22 of them Navy SEALs. Included were some members of Team 6, the unit credited with the raid that killed terror mastermind Osama bin Laden. CNN.com's Ashley Fantz was able to find a heartwarming angle to this tragic anniversary, revisiting an iReport posted by Braydon Nichols, the son of Army Chief Warrant Officer Bryan Nichols, who piloted the Chinook. The boy, now 11, asked that no one forget his father, and judging from the reaction to young Braydon's iReport post, no one has. His brother, Monte, adds that Braydon is doing well in school and coping with the loss of his father as well as can be expected. Monday also marks the anniversary of the bombing of Hiroshima during World War II. The man allegedly responsible for six shooting deaths at a Sikh temple near Milwaukee was an Army vet, police say. The man who shot six people to death and wounded three others during a rampage at a Sikh temple in a Milwaukee suburb was an Army veteran who may have been a white supremacist, according to a law enforcement source involved in the investigation. Law enforcement sources familiar with the investigation named him Monday as Wade Michael Page, 40. One law enforcement official said he owned the gun used in the shooting legally. He had apparently served on active duty, a U.S. official familiar with his record said. The source declined to give further details. The race to the presidency now turns toward the general election in November. Watch CNN.com Live for all the latest news and views from the campaign trail. 12:00 pm ET - Mars rover post-landing briefing - The Curiosity rover successfully landed on Mars this morning, and NASA and JPL officials are celebrating. Two briefings on the landing and mission will take place today - the first at noon ET, with the second at 7:00 pm ET. Immediately after the September 11, 2001, terrorist acts, Sikhs came under attack.